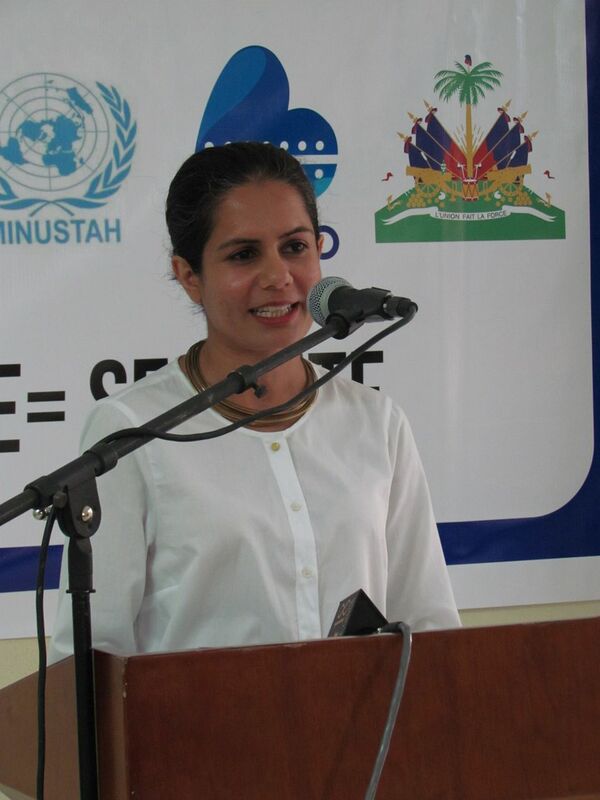 Mariam Yazdani has been a senior consultant for Viva Rio in Haiti since 2011, working in poor communities that face violence on a daily basis. In 2018 she became a Women PeaceMakers Fellow of the Joan B. Kroc School of Peace Studies – an institution linked to the University of San Diego that prepares its students for promoting peace and to fight inequality. Mariam was in Brazil in January 2019, and we took the opportunity to discuss her work in Haiti and the inclusion of women in peacemaking processes. Viva Rio: How did you begin your work in the area of ​​conflict mediation and, more specifically, with Viva Rio? Mariam: I have been working for 15 years in post-conflict negotiations. I went to Haiti with the UN. There while exploring a programme of second generation DDR with Minustah, I found a very fertile and interesting environment to collaborate in, and I started working for Viva Rio in 2011. At Viva Rio of the focus of our work is to instigate and promote peace mediation in a community at the grassroots level. We mediate with the gangs, the police, and with communities every day. VR: And what did you find different in Haiti? Mariam: I think there are three aspects that make my work in Haiti different from my previous experiences: 1) when I arrived, the police were in a moment of rebuilding and of promoting a new image; 2) the Haitian state has capacity issues and lacks capacity particularly in areas of security. The country is, however, very organized at the community level so much of the mediation takes place at this local level; 3) the success ability that Viva Rio has in combining mediation with benefits brought by peace. These benefits come in the form of education, sports, culture and so on..Other organizations that also do work in peace mediation tend to work under the impression that they will arrive, hold a meeting and solve the situation, with no understanding of the situation. We prefer to invest in long-lasting relationships, ensuring a more continuous and lasting work. I’m the newest person on the senior Viva Rio Haiti team and I’ve been there for 8 years, so it is really about deep and long-lasting relationships. 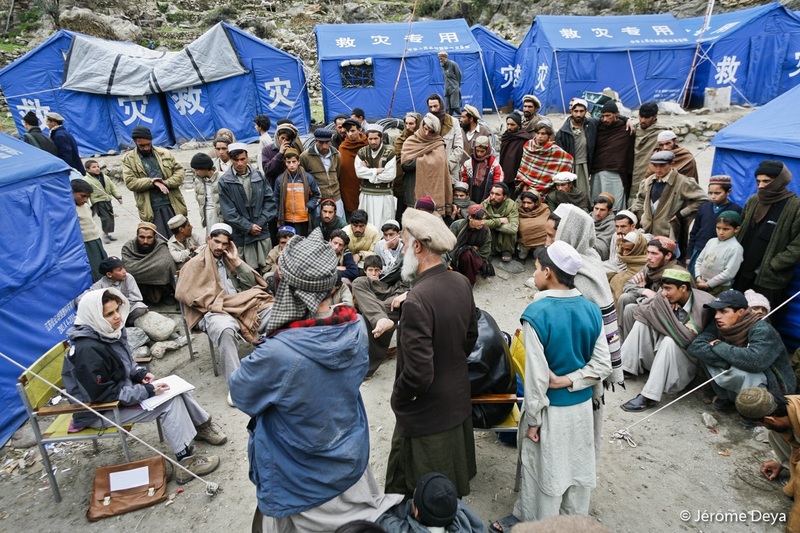 VR: And how does peace mediation take place in informal spaces? Mariam: Informal networks are able to exist at the community level, but they also have access to the political and economic elites of the country, so they are so important. We have invested heavily in mapping the informal power networks that exist in Haiti. I’m more involved at the macro level, dealing with the political aspect, but I have partners who work directly at a more grassroots level. And it is a very valuable work; we have a whole network of relations and resources that circulate in the informal sphere and that we consider to deserve our full attention. It is the material from which we define who should be at each negotiation table and for what purpose. This person may come from the Football Federation, may come from a bank, may be from Justice … At the same time that formal negotiation happens, we have to have a parallel at the informal negotiation table. VR: You are attending a Joan B. Kroc School of Peace Studies Fellowship for women engaged in peacemaking. How has this program been? 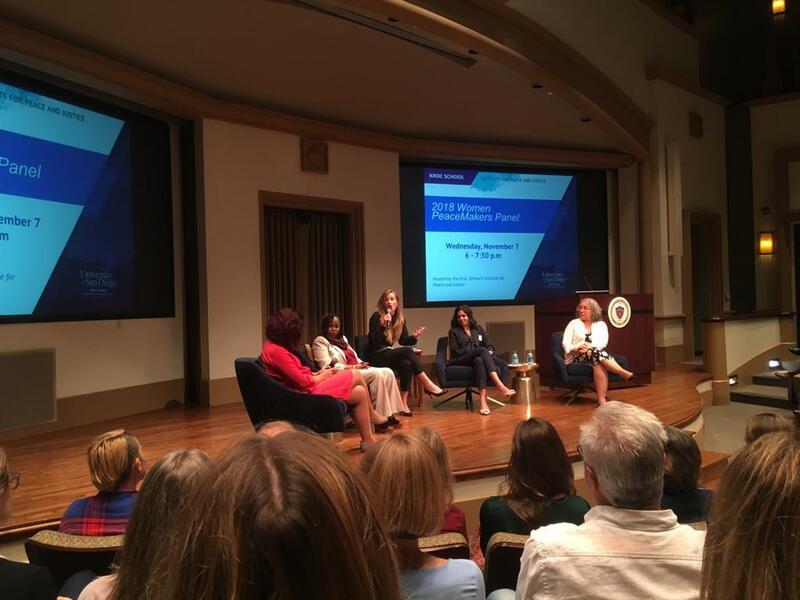 Mariam: The Joan B. Kroc School, affiliated with the University of San Diego, invites four women every year that are involved in peacemaking work to join their fellowship program. The program promotes the exchange of experiences and each one is presented as a case study. I have the opportunity to exchange with three women from very different places: a Colombian, who participated in the peace negotiations between the FARC and the Colombian government; a Romanian, who worked in peace mediation between Ukraine and Russia; and a Sudanese woman who worked on the peace agreements in Sudan. VR: You recently published an article advocating the importance of informal negotiation tables. Tell us more about this experience in Haiti, please. Mariam: The informal negotiation tables happens in the corridors, before it can get to the roundtable.To do this, we do a preliminary work to identify the terms of the peace agreements and elaborate our demands. In the end, it is impossible to conclude formal peace agreements without such intermediation of informal agreements. That is, without dialogue, without informal negotiations, the agreement is just a piece of paper. VR: And how can women contribute to informal peace negotiations? Mariam: Women are underestimated in their ability to mediate. Organizations map conflicts and often believe that mediation has to be done by the agents involved. The problem is: that peace does not hold. So, how do we work to achieve this? By including all stakeholders. That is why women need to be included, they bring new perspectives and they need to have their access guaranteed. We must stop underestimating the political role of women. Like most people who begin life in a situation of inequality, we are constantly trading our space. And since we learn to negotiate our space, we also begin to learn how to negotiate the spaces of others. Women are better mediators, we mediate naturally. We mediate with our children, we mediate at home. I believe that mentoring is very important for the development of the ability to mediate. To mediate you need to understand people and need to understand yourself. You need to have the moral courage to know what you can mediate and when it is best to withdraw, and when to refer to another person of the team. VR: But how to include women in the informal model of peace negotiation? In the formal it is possible to establish rules and delimitations that require their presence, for example. Mariam: It is important to give women the chance and resources to work in this informal mediation. We must also identify who is already in the field representing this role of informal mediation, and that person can come from the world of sports, music … Then we must give the best conditions so that these women can get involved in peace mediation. Here it is worth remembering that political work is also a financial commitment, since in many situations you have to leave your formal work and your working time worth differently. In Haiti, women are working to provide food, to raise their children, to take care of the house. So women are key to designing peace processes, identifying where money is circulating, which businesses work. Men are very involved with politics and bargaining on the streets, but they do not follow domestic politics and in that they lose fundamental insights for the construction of peace. VR: And how do you work to turn young women into leaders for peace mediation? Mariam: Women have changed. When I first went to Haiti, about 10 years ago, I do not think there were any women in the gangs, or there were few of them. Now there are “ baz madivine” groups of lesbians, for example. It is a very new phenomenon, sexuality is more fluid for millennials and they are more willing to set sexual issues from another perspective. These young women are no longer traditionally attached to the home, the male figure … There was a clear change and I find it very nice to work with these young women, identifying leaderships among them and giving the space and conditions to create a kind of mentoring. What makes a good mediator? It is practice, constant dialogue, exposure. Give them the best tools, political exposure and, of course, mentoring. VR: And is there any ongoing activity in Haiti at this time that acts in this direction? Mariam: We work with a women’s network (Rezo famn kapab d’ayiti) and we grant scholarships at universities for girls from the Haitian favelas. At the same time, we give leadership trainings and media trainings to those who want to engage in activism. The other day, for example, we gave a coding workshop for girls and boys from Bel Air and Cité Soleil, kids who do not have electricity at home, who do not have a computer at home. And within three weeks they were already developing apps. We currently have 20 young women accompanied by our mentoring program. One of the goals of the network with which we work is also to train young women who can occupy spaces of power in traditional politics. VR: Do you have a last word? Mariam: Mediator women have a less abrasive leadership style, which is more valid for mediation, if well conducted. In the past, we have had a recurrent problem with good male mediators who came to identify themselves as great political leaders. And then they took a more aggressive stance and the space for mediation would cease to exist. So that was our biggest problem when working exclusively with male mediators. Finally, another challenge that we must overcome is the idea that women must have a sectorized performance. People generally think, “Oh, we have a problem with women, let’s get one to solve,” and when it’s a politics issue we always call a man. Why does this have to be this way? Women have to be included everywhere and in all matters.